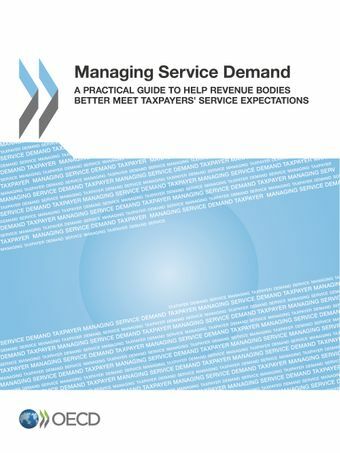 This book provides guidance on a whole-of-revenue body approach for managing service demand effectively. It sets out a possible ‘model’ for governance arrangements based on leading revenue body practice – in this case the Australian Taxation Office—that has been examined and is supported by the FTA’s Taxpayer Services Sub-group. It also sets out practical steps in the form of a step-by-step framework to support revenue bodies in their efforts to better identify, analyse and address the causes of service demand. The guide has been designed to support all revenue bodies, from those that are in the early stages of developing comprehensive service delivery programs to those with mature programs in place. While it focuses on the revenue body’s role in tax administration it acknowledges that some revenue bodies have a broader set of responsibilities, for example, in the administration of some social policies. This guide has not explored how such roles should integrate at a broader demand management level and revenue bodies will need to assess this issue, if relevant, having regard to their individual circumstances. For further information, please contact CTP.Contact@oecd.org.